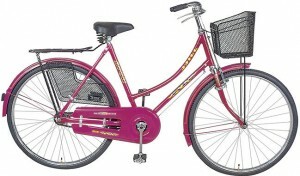 Frame: 55cm (22″), Ladies frame dip brazed. Wheels: 40-635 (28 X 11/2). Handle: PH/Type handle with grips. Saddle: PVC top foam padded saddle. Brakes: Side pull roller brakes. I want to buy this bikcycle How much Dollor??? ?